TEXAS-USA-. I am pleased to announce This year’s 2017 AUSTIN TKD FRIENDSHIP GAMES INTERNATIONAL, will be held on Saturday, January 28, 2017. My staff and I have already begun preparing and organizing to ensure a pleasant and positive experience for every participant. 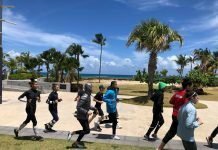 I think it is a great representation of the attitude behind this friendly and beneficial event, as well as a reminder of the challenges of daily Tae Kwon Do training. The purpose of competition is not to simply determine a victor, but to encourage all competitors to bring out their best effort and grow as a result. Similarly, our Tae Kwon do training is not designed only to achieve a specific rank, but to continually strive to improve in body, mind, and spirit. I thank you for your enthusiastic support of this event. I believe we are creating something very special. Our tournament allows students of all ages and levels the chance to experience the thrill of competition in a fair, safe, and supportive environment. I promise you will have an enjoyable and rewarding competition day and I look forward to seeing you on January 28 in Austin Texas. (click here) REGISTRATION PAGE, TO THE 21ST EDITION, 2017 AUSTIN TKD FRIENDSHIP GAMES INTERNATIONAL. Artículo anteriorQUE LUJO!! 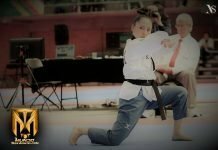 !Así es Eva Pai Adams: Olimpica en Combate y mundialista en Poomsae.